The MoD confirmed Corporal Jonathan Bayliss was killed when the Hawk T1 aircraft he was flying in crashed at RAF Valley, north Wales. 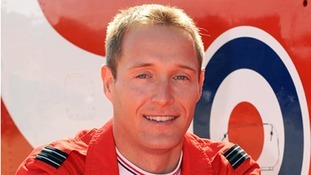 An ejector seat manufacturer has admitted breaching health and safety law over the death of a Red Arrows pilot. Royal Air Force Aerobatic Team touched down in Guangdong as part of their Asia-Pacific and Middle East world tour. The plans had been in development since 2014, but would help underline Britain as a "global player" following the Brexit result. An ejector seat manufacturer is to be prosecuted over the death of Red Arrows pilot Sean Cunningham at RAF Scampton in November 2011. 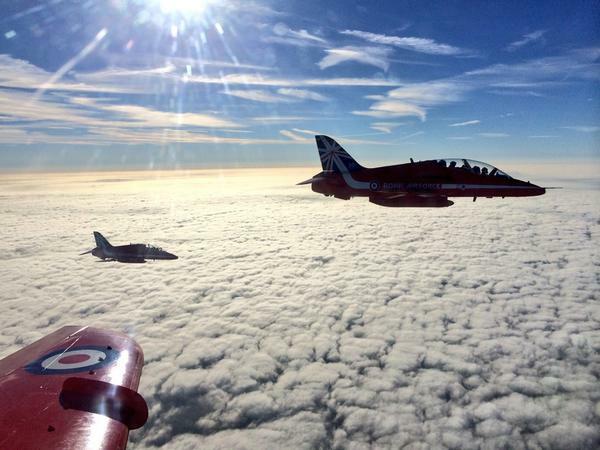 This is the view from one of the Red Arrows cockpits as they flew in diamond formation over the Nato summit in south Wales. 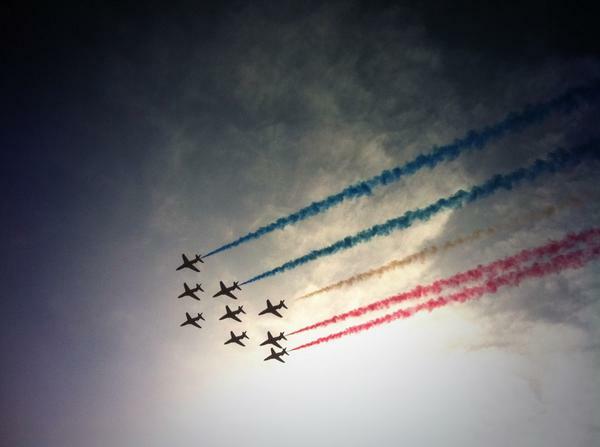 Delegates at the Nato summit in Wales have been tweeting pictures of the RAF Red Arrows flypast this morning. The formation followed aircraft from eight other Nato member states. Red Arrows jets take off three times a day but rather than being a nuisance, the displays are the main attraction in Scampton, Lincolnshire. The Red Arrows are to mark their 50th anniversary this year, so what's it like to be inside the cockpit during a daring manoeuvre? The royal family gathered on the balcony at Buckingham Palace to watch the traditional RAF flypast marking the Queen's official birthday. Among the 28 aircraft which buzzed over the Palace were Spitfires and a Lancaster bomber of the Battle of Britain Memorial Flight and a DC3 Dacota with D-Day stripes. 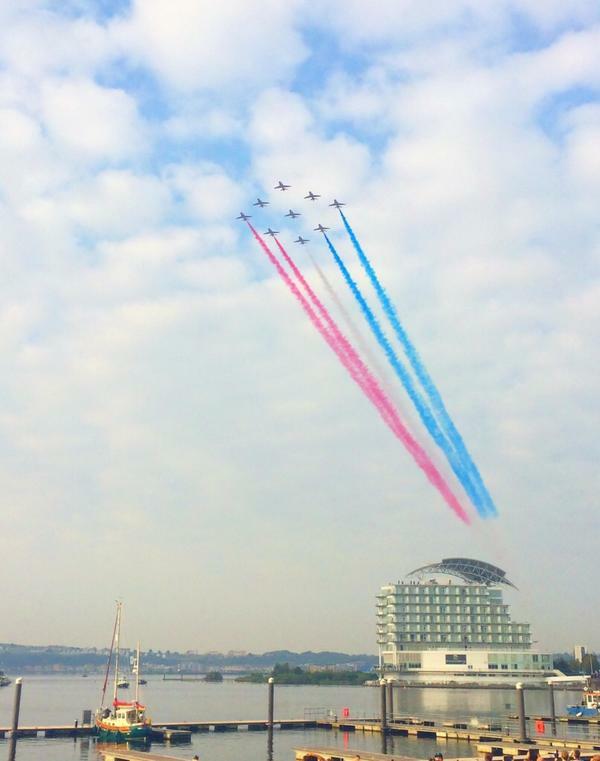 The historical planes were followed by modern Typhoon fighter jets, the Red Arrows aerobatic team and the RAF's largest transport aircraft, Voyager.